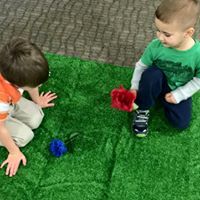 Curated by co-founders Cassandra Generelli (BCBA) and Bethany Jameson (Special Educator), Believe in Me social skills groups foster social relationships, build communication skills, and promote independence and appropriate social behavior. I like your fingerprint flower! they looked so good we just had to taste them! what a great flower relay race! i found something from our scavenger hunt! we have the cutest gardeners!